The Hospitality industry is fast evolving. The Diploma which was once the most popular course in hotel management is giving way to executive level studies and training. The knowledge economy of today requires the hospitality industry professionals to keep upgrading themselves in terms of knowledge and skills. 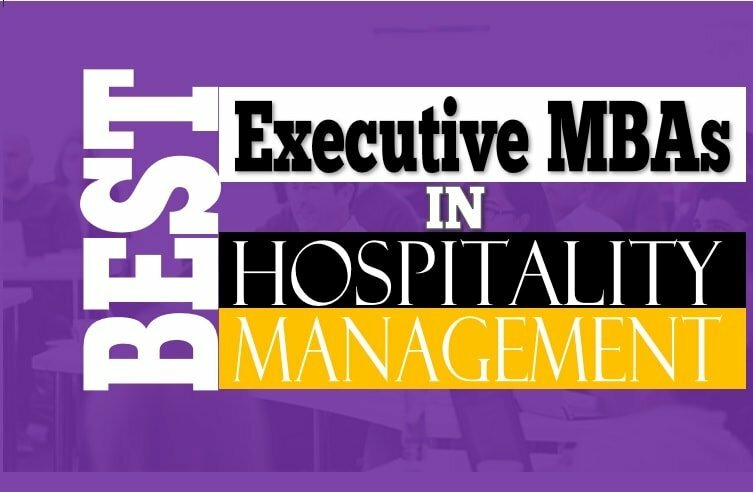 In this post, we have covered the highly prestigious MBAs in hospitality management. We have listed some of the best MBA courses in Hospitality Management. We don’t endorse or promote any of these courses or institutions. We have judged them on the basis of popularity, placement record, reputation, feedback, infrastructure, faculty etc. However, any study is not without flaws and we request our smart hospitality readers to decide carefully after their own deeper analysis. But, we will make sure, this place gives you an honest and comprehensive head start to your search for a list of perfect MBAs in hospitality management. We have also included a few Executive MBAs in hospitality from the experienced hospitality workforce with years of managerial experience. We have already covered top hotel management institutes in the world in 2018 and top culinary schools in the world. 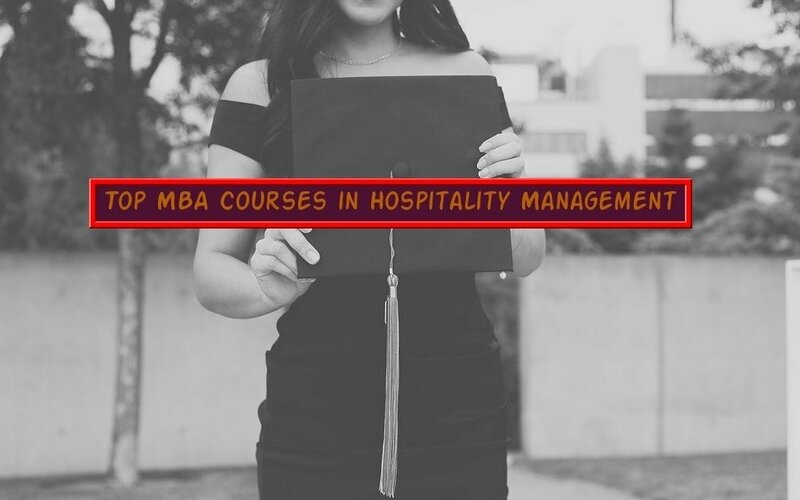 This post takes one step up by covering the previous MBA in hospitality management. Here are some of the institutes offering a Hospitality MBA. Let’s have a look at a few of the courses. Expect yourself in the super elite league after completing this course as the doors open to some of the extremely promising high paying hospitality jobs upon the completion of this course. The course that is offered in France is one of the most reputed Hospitality MBAs in the world. Modules like Leadership, Accounting accompanies by field trips make it extra special. The course enjoys a partnership with few of the top hospitality companies like Accor, Hilton Worldwide and consulting firms like Deloitte. Please check further details on the Programme page of ESSEC. Not many Hotel Management Course list can be complete without the mention of Glion. Glion institute of higher education has made a name for itself and enjoys unparalleled reputation and alumni network all around the world. This Hospitality MBA degree has a triple accreditation of AMBA, EQUIS and AACSB. The MBA is provided in association with highly reputed Grenoble Ecole de Management at the Glion Swiss campus. What more? The 2 years course comes with fully assisted one year of employment/internship along with a management project. Check more about it here and explore for yourself the advantages of the course and its high repute. A programme delivered in Switzerland by one of the most reputed hotel management institutes in the world. In collaboration with industry experts, this Hospitality MBA covers hospitality trends, sustainability, strategic advantage and various other things over a period of 2 semesters. To check about eligibility, fees, criteria etc, kindly visit the Website of Le Roches. Emirates Academy of Hospitality Management is another reputed name in the hospitality arena. Its Masters of Business Administration in Hospitality Management can be a stepping stone in your career. Created and delivered by industry experts, this fast track one year full-time MBA boasts of one of the best placement rates. Located in Dubai, it exposes the participants to the ever-growing hospitality jobs market of Dubai and other areas of the Middle East. The Emirates Academy enjoys a close association with the Jumeirah Group which Owns Burj Al Arab, the unofficial 7-star hotel in the world and various other classy hotels in the area. There are various other top hospitality institutions like Cornell SHA in the USA that provide Masters in Management and options of joint Masters and MBA in hospitality. Vatel USA also has a highly reputed MBA in Hospitality and Management. If you are looking for more options you can also check the list and comparison of 21 other MBA Courses in Hospitality management presented by MBAstudies. We will keep the list short and simple by including only a few highly reputed Executive MBAs. However, there are various other Hospitality industry certificates and training courses which might be of equal interest to the experienced hospitality professional. Well, this is for the creme de la creme of the hospitality industry. This 11 months accelerated MBA programme deals with Hospitality immersions, Field trips, CEO challenges among the many other things. EHL is one of the Best Hospitality Institutes in the World. The course starts in September every year and the location is Lausanne, Switzerland. Check more about the course here. Another prestigious Executive MBA programme in hospitality is jointly conducted by CEIBS and EHL. The course started recently in 2018 but two big names and allure of dual degree is good enough to get it a thumbs up from the hospitality fraternity. The course last 18 months and is a rigorous one even for the experienced hospitality professionals. But, it’s well worth the effort. The course model includes 4-8 days on campus modules that accounts for a total of 64 days on campus in 18 months. The course is offered at multiple locations that include Shanghai, Lausanne, Zurich, Hong Kong, Singapore and Japan. This Executive MBA is open for hospitality industry professionals who have at least 10 years of experience that includes at least 7 years of managerial experience and an undergraduate degree. The fee for the course is over USD 100,000. Check out further details about this Hospitality EMBA on the Course page of CEIBS. Apart from this, there is ESSEC Executive MBA which take a bit more generalists approach. There are various other distance learning and online options as well for studying an MBA in hospitality management. Here you go, some of the finest MBAs and Executive MBAs in Hospitality Management. We have only included some of the best and highly reputed MBA courses in Hospitality Management delivered by top Hospitality Universities and colleges. However, we expect this post to be just the launch pad for all the hospitality leaders and to be leaders. Please research all options well before taking a final call.